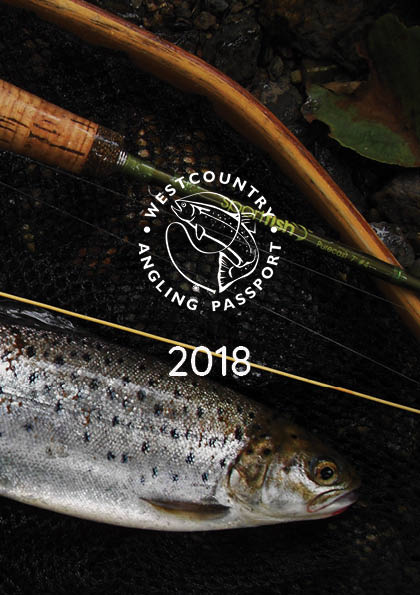 Grogarth Beat # 35 of the West Country Angling Passport Scheme. This section of the Fal River, one of several rivers running into the Falmouth Estuary, is one of only two West Country Passport Venues within close proximity to Truro, my current base of operations. After the struggle to find the water on the Tresillian River the previous day I have to admit to having had some feelings of trepidation. Back home “difficult access” may mean a long hike, even up a long hill, even in hot sunshine. What it doesn’t mean is a life and death struggle with out of control herbage ,such that one feels part of a reenactment of “Day of the Triffids” , all so that one can simply to get one’s feet wet. This beat, at least on paper, looked a tad easier to find than that of the previous day. The beat starts directly above a road bridge, so no real difficulty there, and the passport ticket box was just where it was supposed to be, underneath the style which provided access to the public footpath along the river, all of which served as confirmation that I was in the correct place. Even then it became quickly apparent that getting into and possibly getting out of the water may prove more troublesome than might be assumed from first glance. 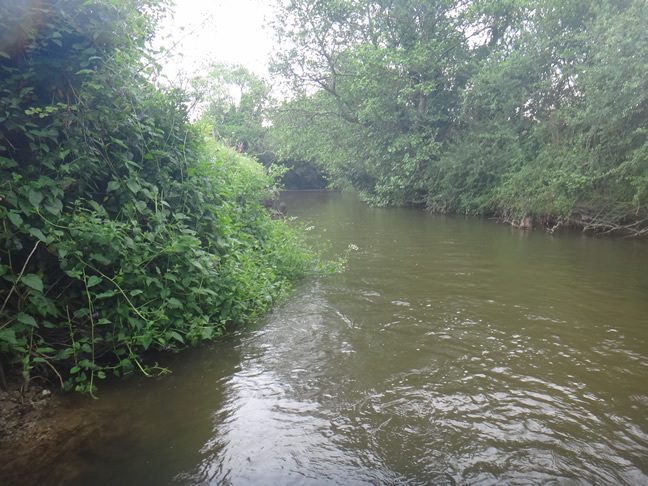 For the most part the banks were five feet above the water with a lush verge of protective nettles and brambles cascading down into the water. Access from the right bank (that is looking downstream, an English convention which can be confusing to start with), was near impossible and after exploring high stone walls and steep clay banks I decided to reconnoiter the other side of the stream. Here at least, after walking a short distance, I could see some flattened grass suggesting that previous anglers had maybe accessed the water at this specific point in the recent past. 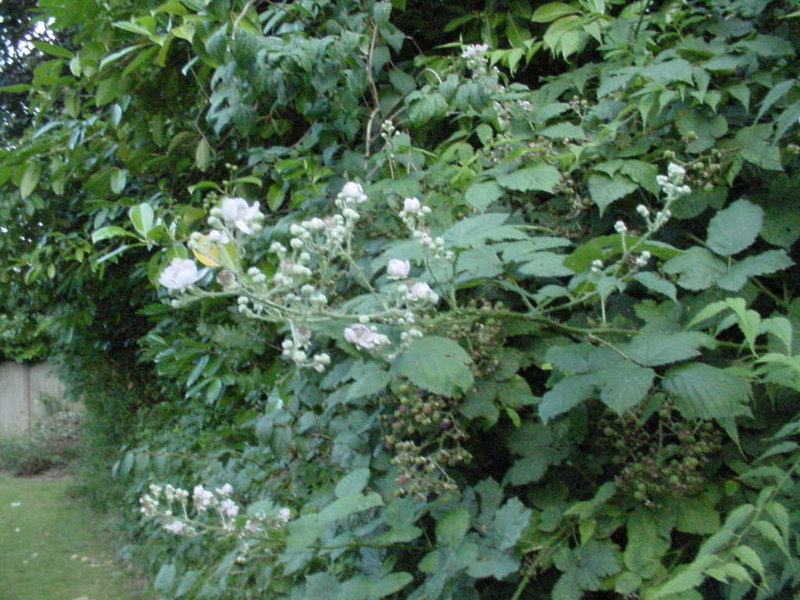 Yes the nettles stung and the brambles tore at me, but at least I had the good sense not to wear my new waders . I may have been battered, bruised, stung and on one memorable occasion electro-shocked in the balls by a pulsing cattle fence but at least my waders would remain pristine in preparation for my trip to Wales. As an aside, it appears that wet lycra provides spectacularly effective conductivity when pulled tight around one’s nether regions and then pressed against an electrified fence. Although not exactly painful, the sensation is more than a little disconcerting. 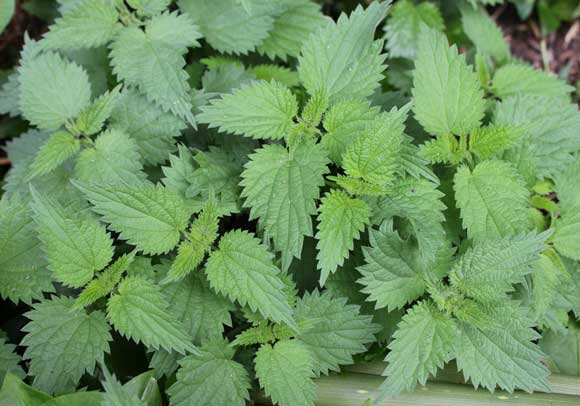 Stinging Nettles are everywhere and one is left with little option but to simply brazen it out, wade through the darned things and accept that the fishing should take your mind off the stings. So I plopped the last few feet down the bank into the water, feeling just a little out of sorts, surrounded by a canopy of tangled trees and still wondering how I was to get back out.. My learning curve of the previous day meant that I was already factoring in the low angles of casting and striking in such tight confines and although possibly trapped, I was at least ready to fish. The canopy over much of the river meant that my normally functioning Polaroids, geared for more sunny climes were hopelessly too dark for the environment in which I found myself and I was forced to fish without them for most of the beat. This is about as open as any section of the beat was, too dark for the most part to be wearing the polaroids. The water was a little off colour and I opted for a dry and dropper rig with a silver bead PTN on point. I quickly changed the dry to a simple indicator, two flies being roll cast under such a dense canopy of herbage was more of a struggle than it was worth. With the two fly rig I am sure I hooked enough different types of vegetation to have put together a pretty reasonable stand at the Chelsea Flower Show. Eventually one learns not to wave the rod needlessly, not to attempt anything remotely looking like a real cast and to manufacture all manner of rolls, flicks and bow and arrow presentations. Whatever allows the flies to hit the water. 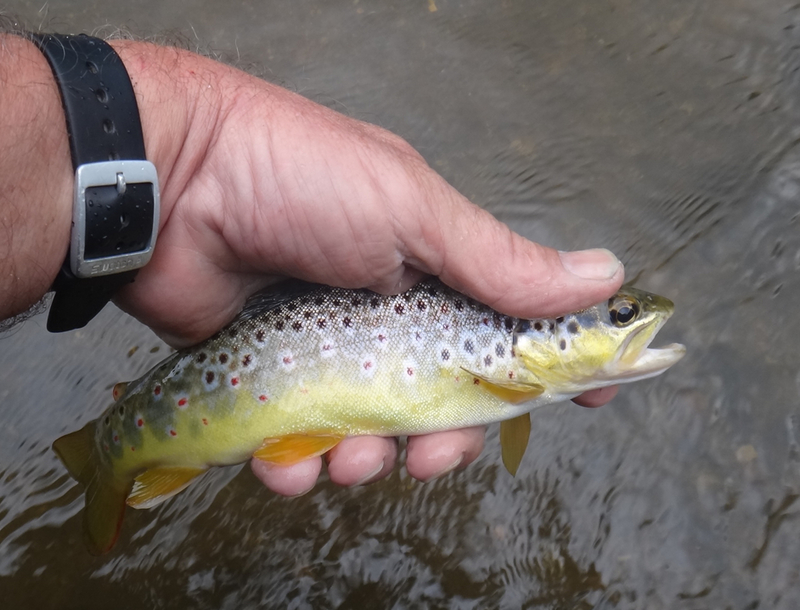 The trout, although small, proved to be more than obliging and I had three out of the first run. Thank goodness that they aren’t too picky, presentation here means “hit the water”, there isn’t sufficient space to do a great deal more than that. From then on it was a case of wending one’s way under the canopy, watching out for sunken logs and slippery clay banks and prospecting as best one could with the flies. Roll casts and horizontal strikes were the order of the day and I think that I made perhaps a dozen overhead presentations the whole morning. In the end I landed in excess of 40 fish , most tiny and a few of about 10”,(The blurb on the beat suggests that maximum for the browns is around 11” here so that wasn’t bad going). In the end I had a lot of fun, it is very different to the fishing than I am used to and required some serious adaptations to make things work. A native Fal River Brown Trout, beautifully decorated with red and black spots. 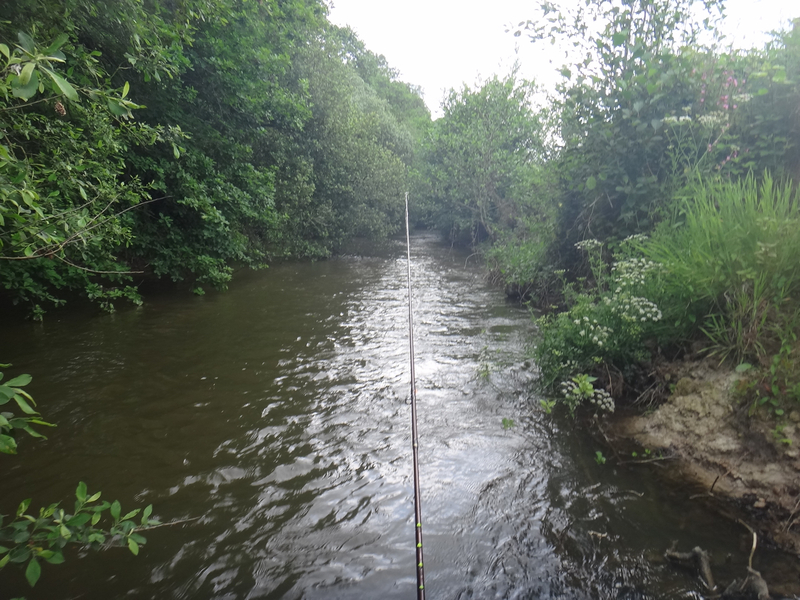 By the time I was done for the day I had become used to the near constant burn of the nettle stings and was able to appreciate the fishing and the natural beauty. 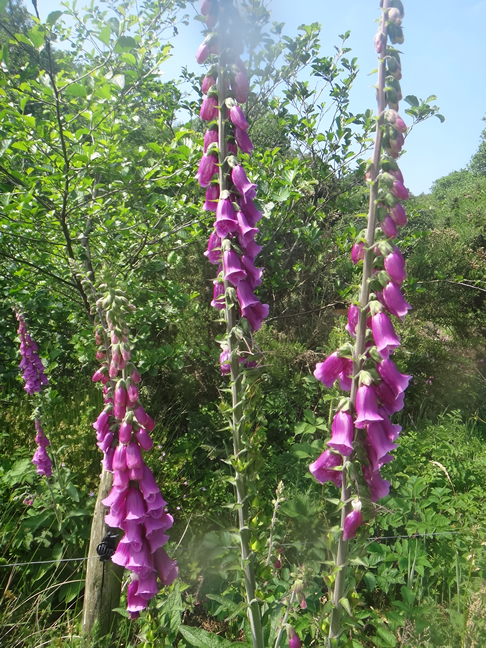 The hedgerows are filled with Foxgloves and the air heavy with the scent of new mown grass and wild flowers. You can obtain a booklet with all the beats and beat descriptions: combined with a book of tokens and a UK fishing license , a wide range of waters are opened up to you. These sorts of passport schemes have opened up a lot of previously closed potential for stream and river fishing in the UK. In a little less than a week I shall be enjoying similar benefits on the Wye and Usk in Wales. More on that later.